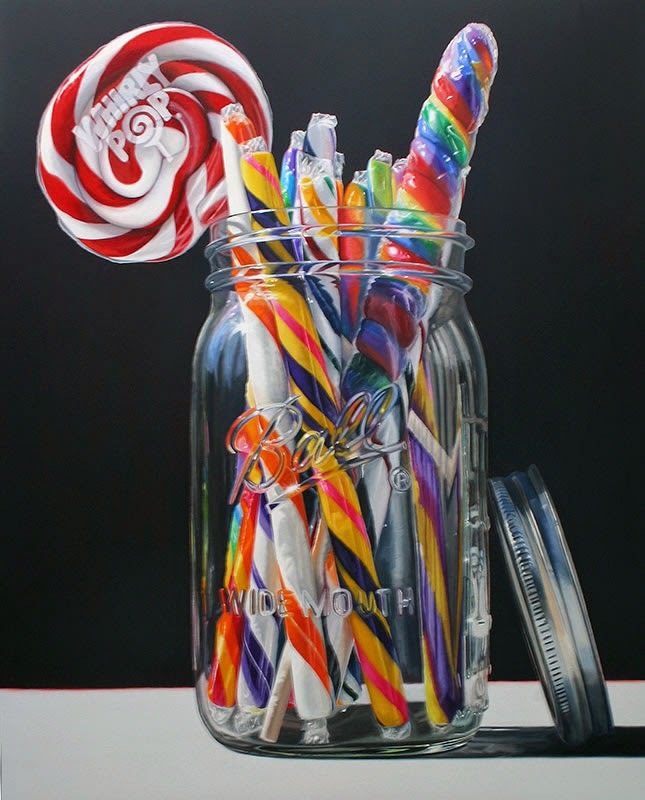 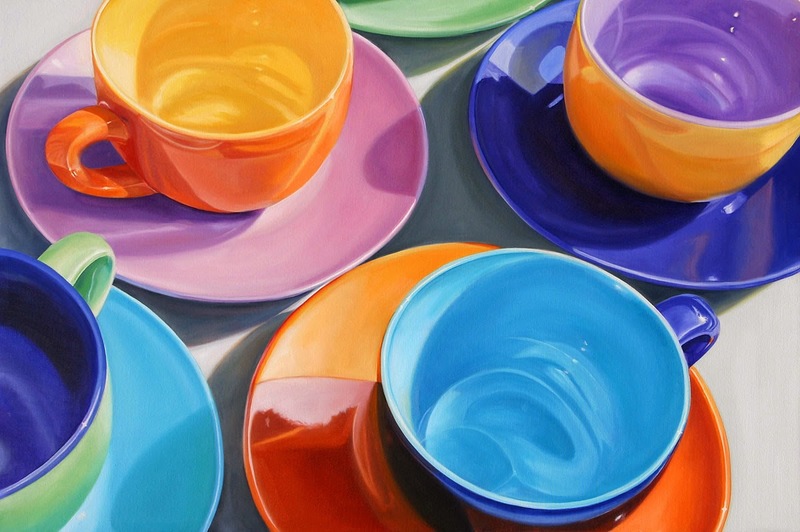 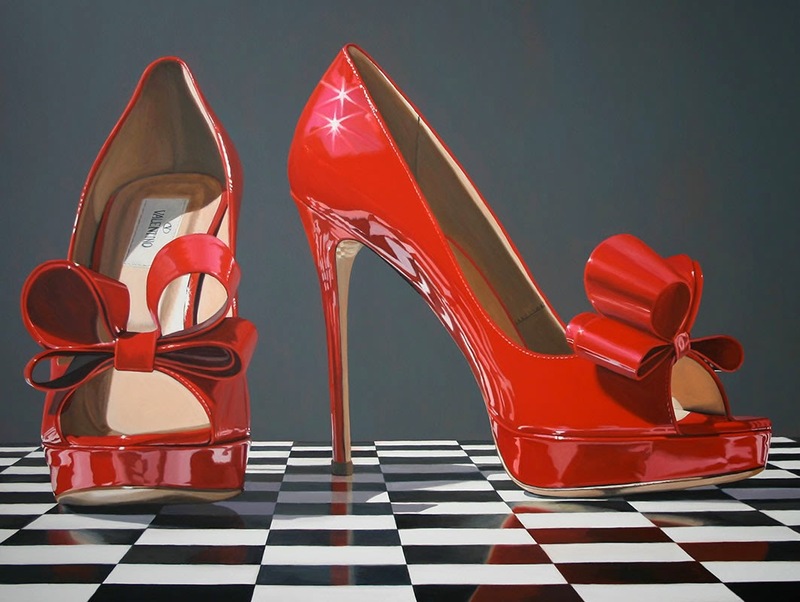 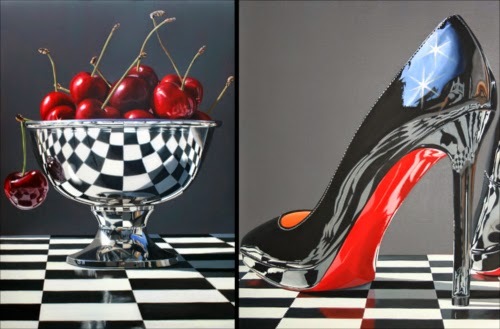 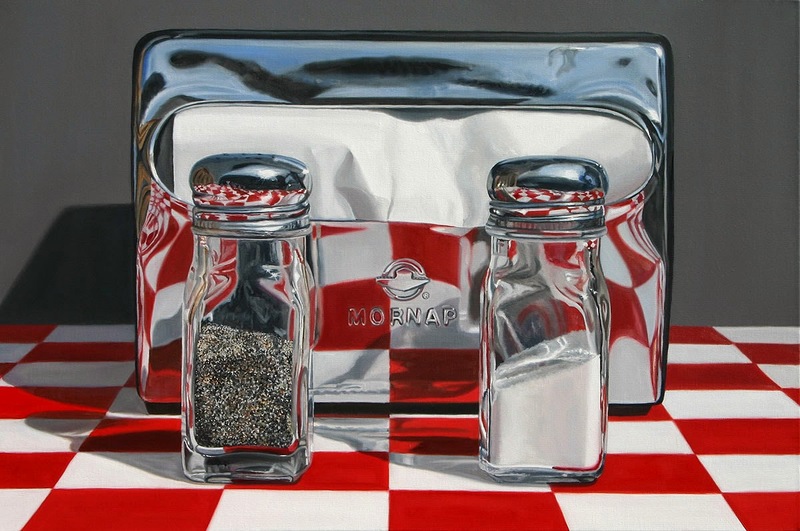 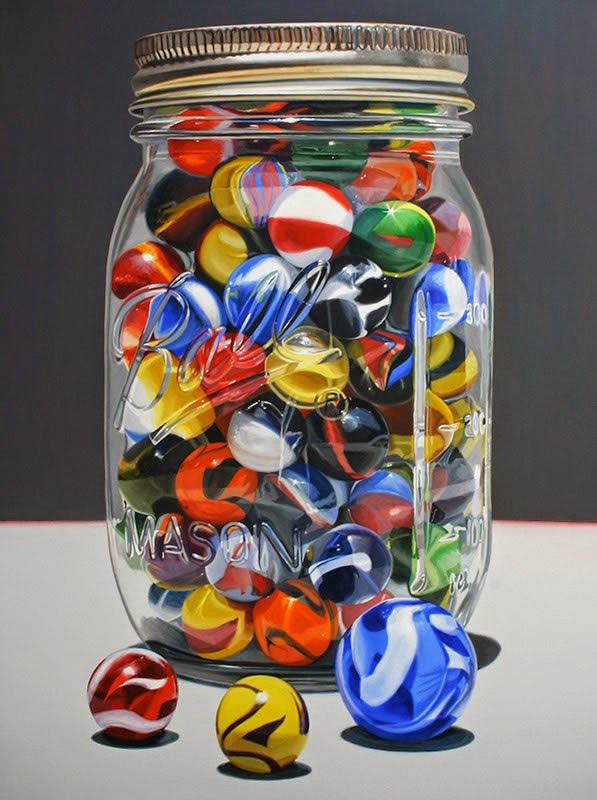 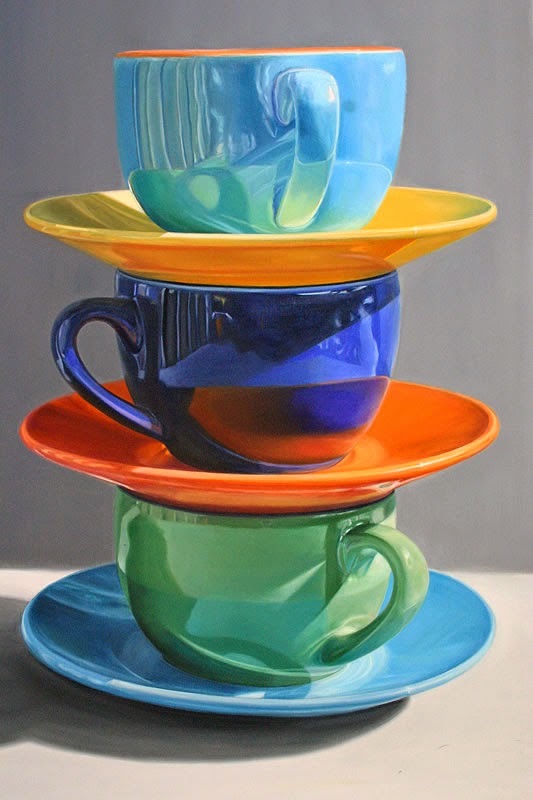 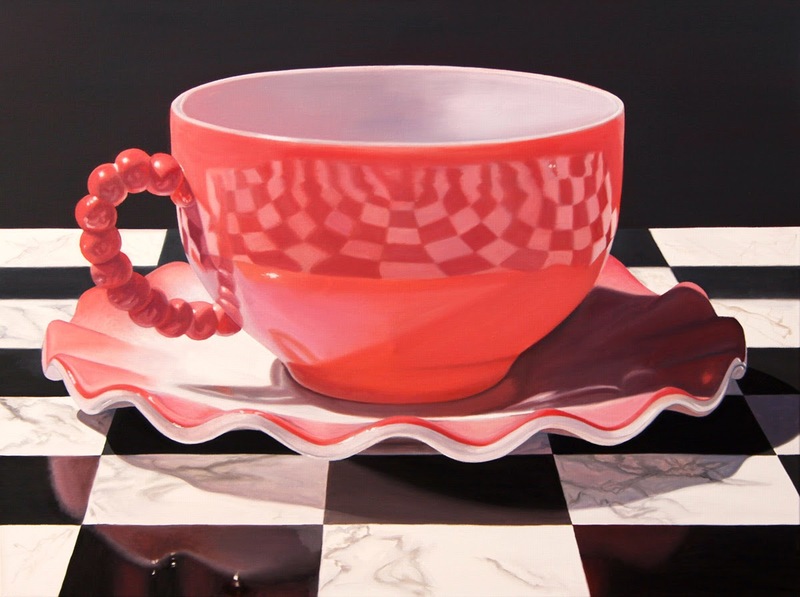 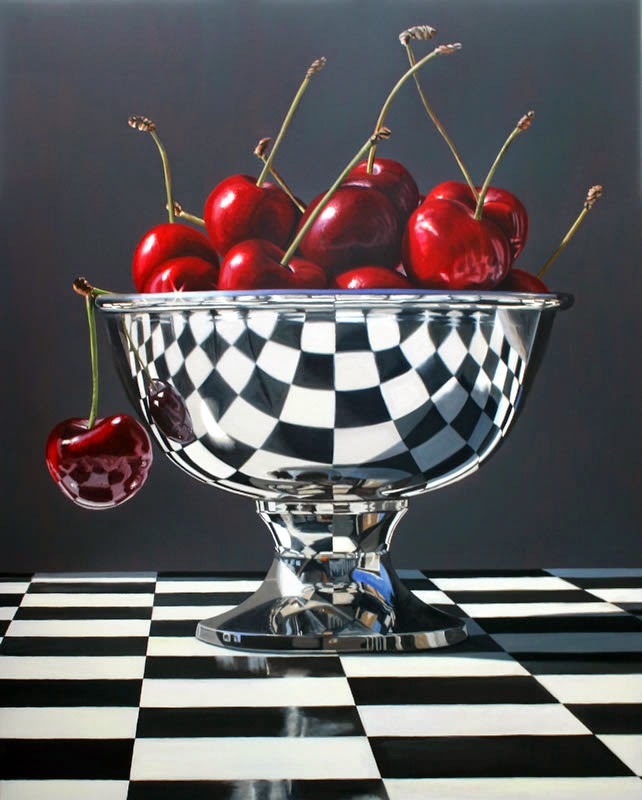 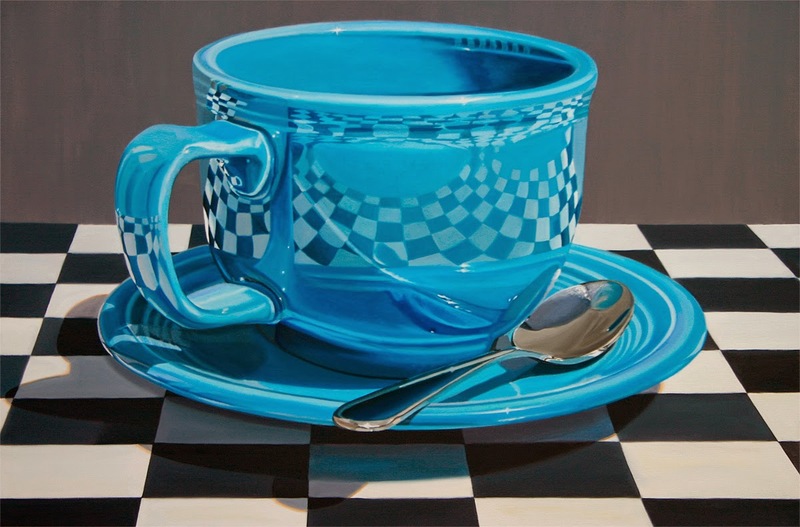 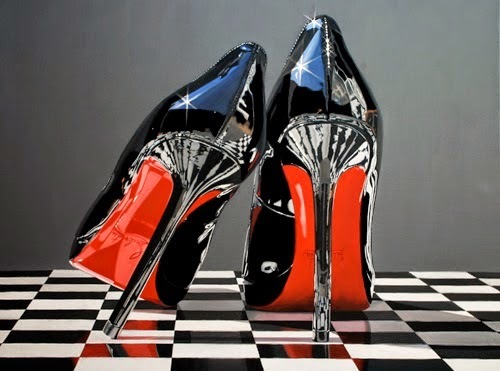 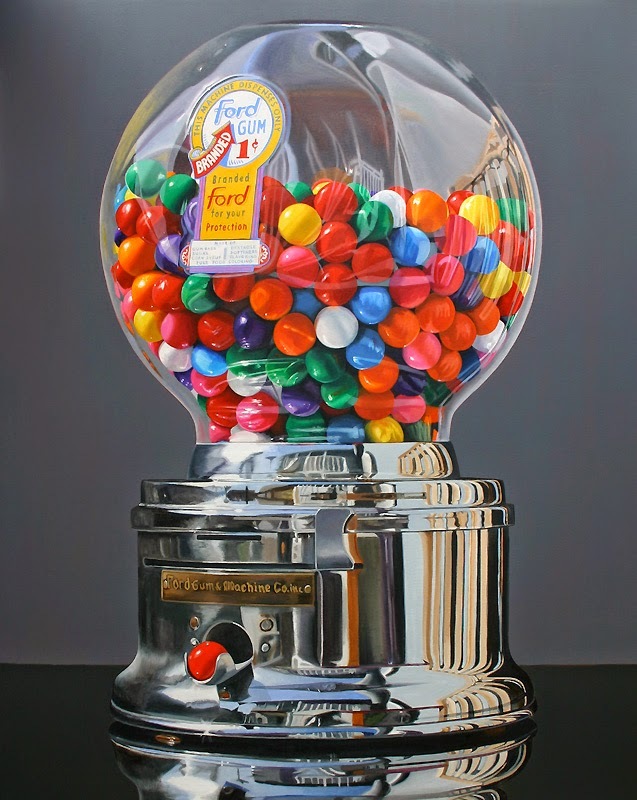 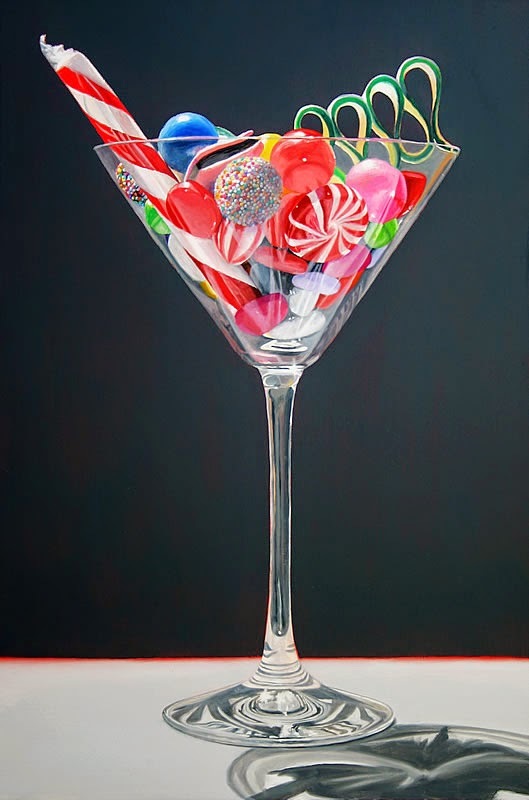 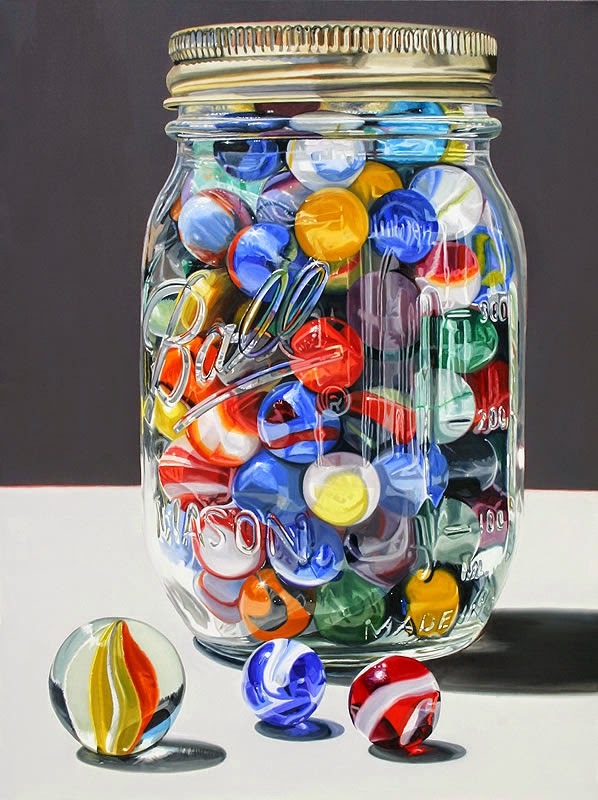 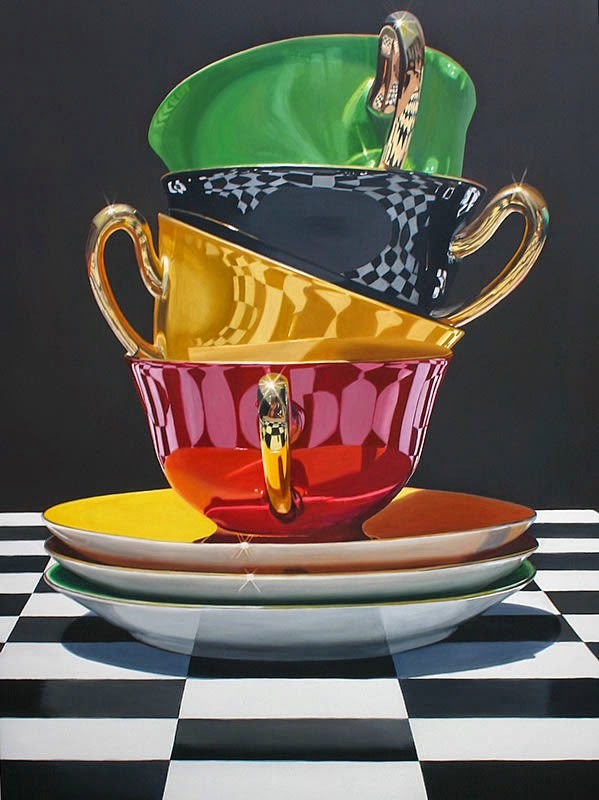 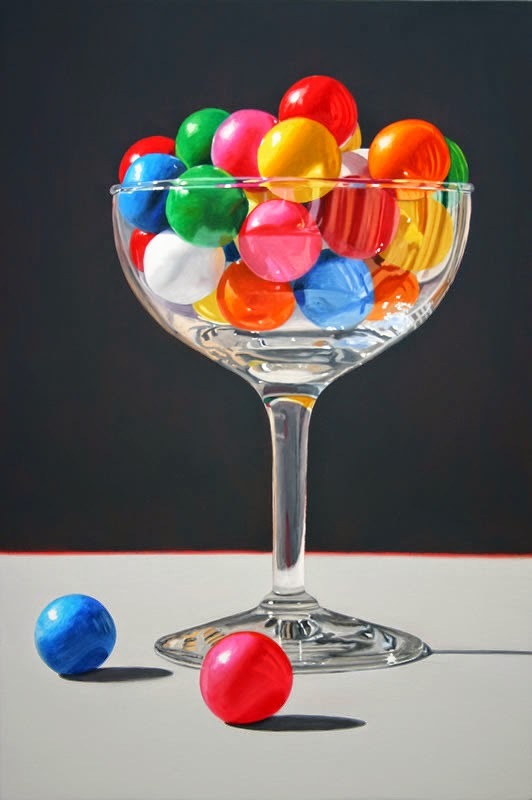 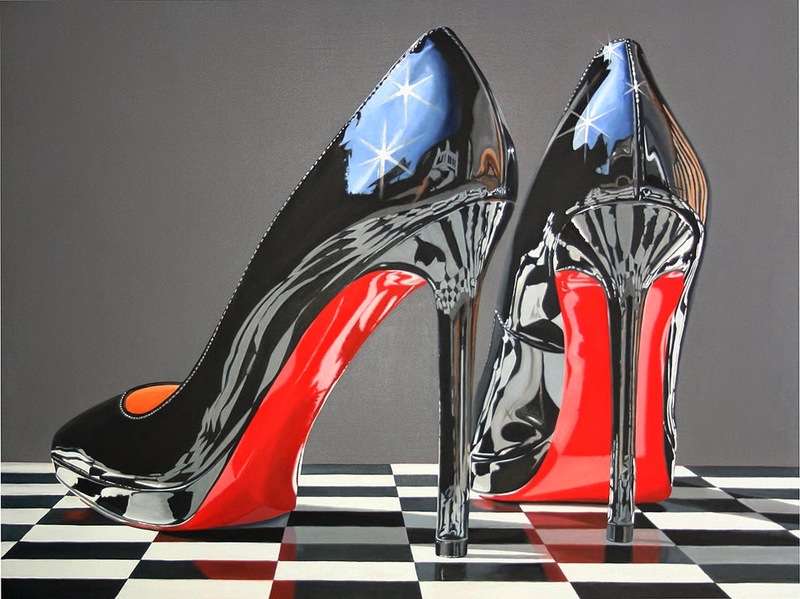 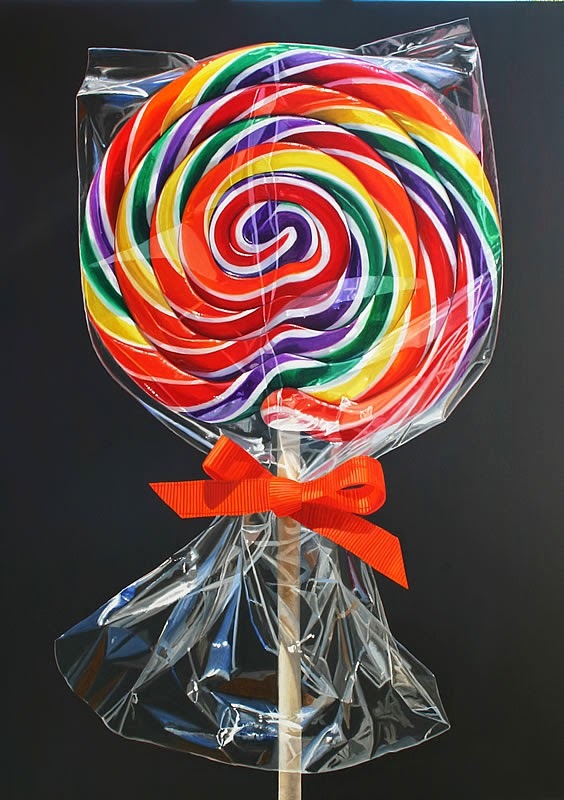 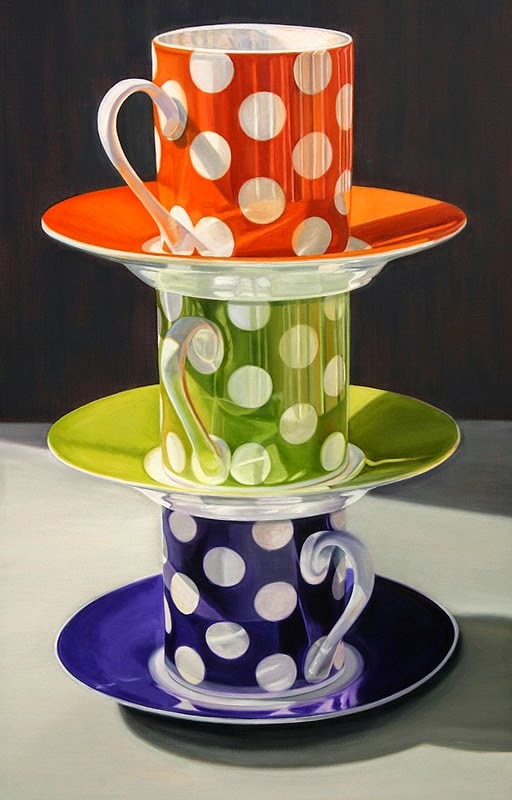 Photo Realist, Painting Artist Daryl Gortner, loves to paint objects with intense color, brightly lit and items that provide a reflection or shimmer. 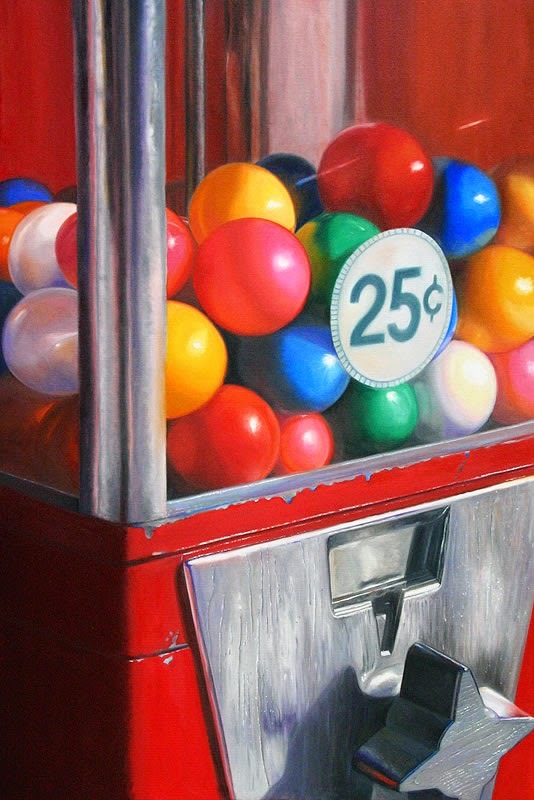 The paintings are always a lot bigger than the original counterparts, because Gortner wants you to loose yourself in the details, notice little things that you would have otherwise missed, had the painting been to scale. 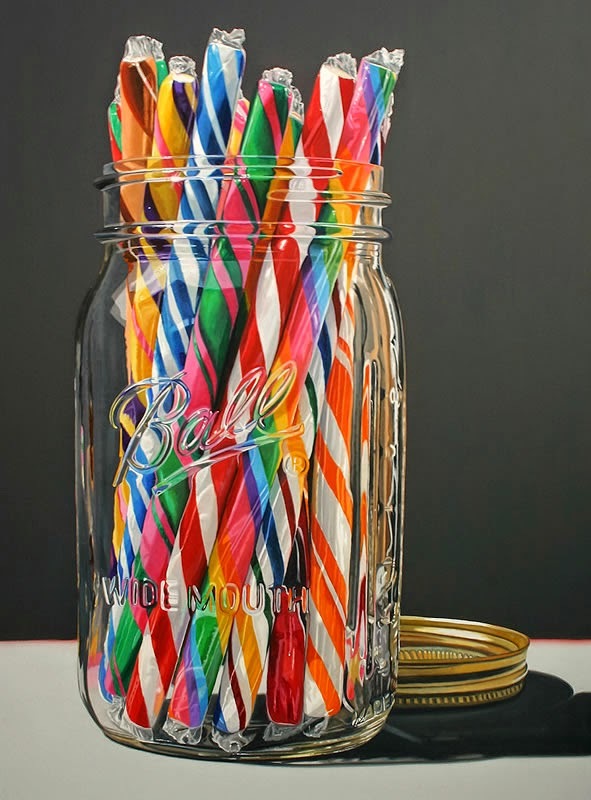 Given the level of detail that goes into one of her paintings, it can take up to a month to complete one.